Last week I was asked by McArthurGlen to visit their York Outlet and take part in their Spring accessories challenge, I was tasked with finding two accessories to style 5 different ways. I’d never actually visited the York outlet before so I was excited to be let loose with the £250 voucher that was gifted to me. McArthurGlen in York boasts an abundance of stores such as Michael Kors, Radley, Daniel Footwear, Calvin Klein and The Kooples. I was spoilt for choice! I can really see why McArthurGlen is so popular, with up to 70% off you can get your own slice of the designer life. After hearing that there was a Michael Kors shop, I knew I wanted to add another bag to my collection. I picked up this lovely black leather bag with gold hardware. I was looking for something that was understated and I thought this bag ticked all the boxes. 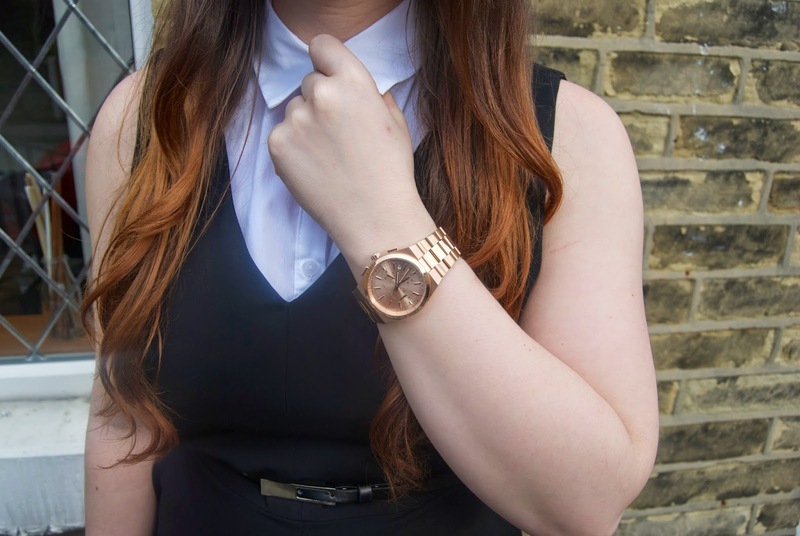 I have a real thing for rose gold at the moment and I’d had my eye on a MK watch for a while but could never afford one unfortunately. With my voucher I headed to The Watch Station and tried a number of different watches on. But I finally settled on the rose gold traditional watch with the medium size face, I went for this one as it didn’t look too big on my wrist. I have to give a shout out to the sales assistant in The Watch Station who was extremely helpful! Look 1 – The Suede Look. 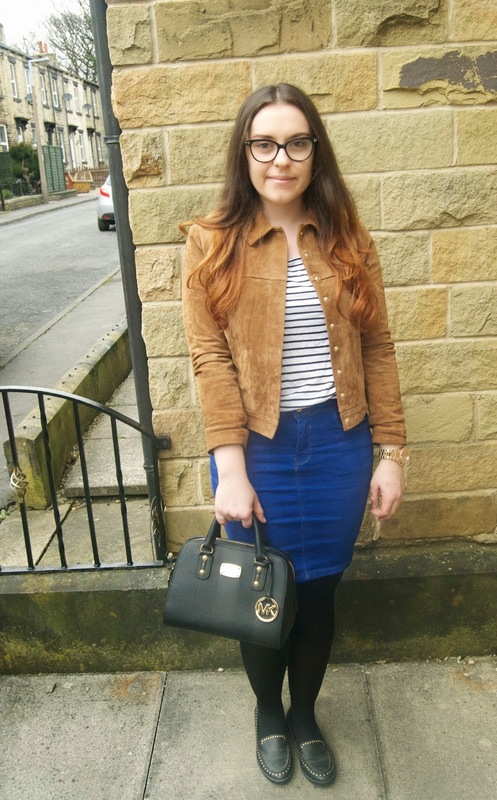 Jacket, Mango, T-shirt La Redoute, Skirt New Look, Loafers River Island. This is a more casual outfit but luckily the accessories I picked are so versatile they go with anything. Look 2 – The Joan Jett. Leather Jacket H&M, T-shirt Topshop, Jeans Hobbs, Boots Glamorous. 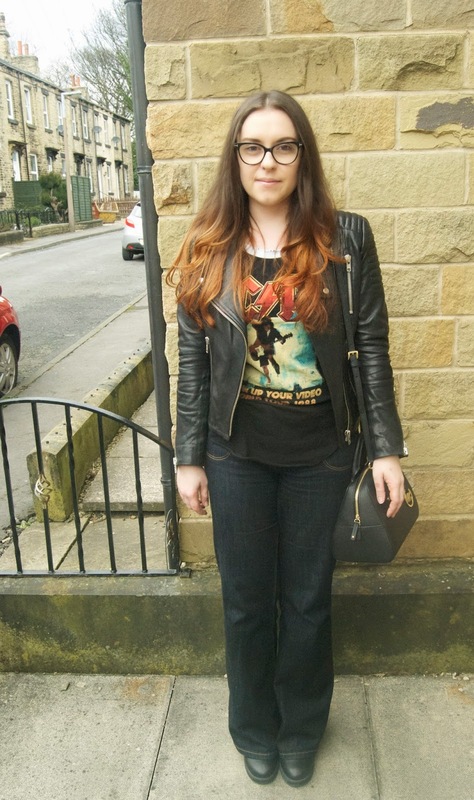 I was feeling a little bit rock n roll with this look, I’m loving my flares at the moment. Look 3 – Disco Fever. 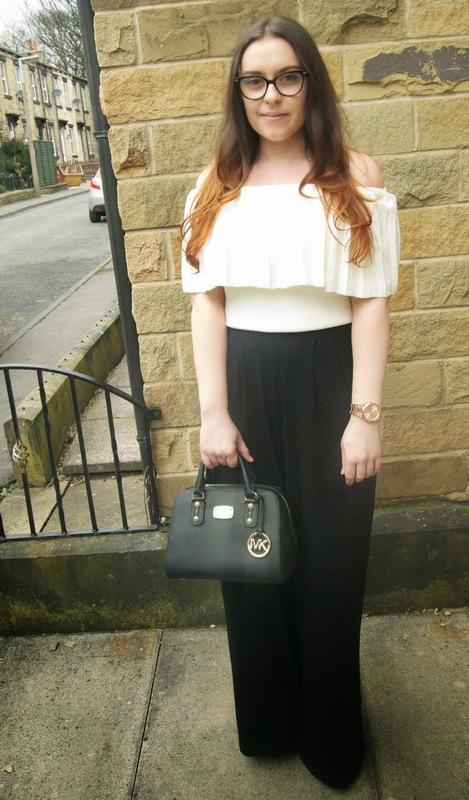 Top and Trousers ASOS. I was feeling a little bit of 70’s disco for this outfit, I love how flattering these trousers are. Wide legs seem to be the way to go. Look 4 – The Button Up Skirt. 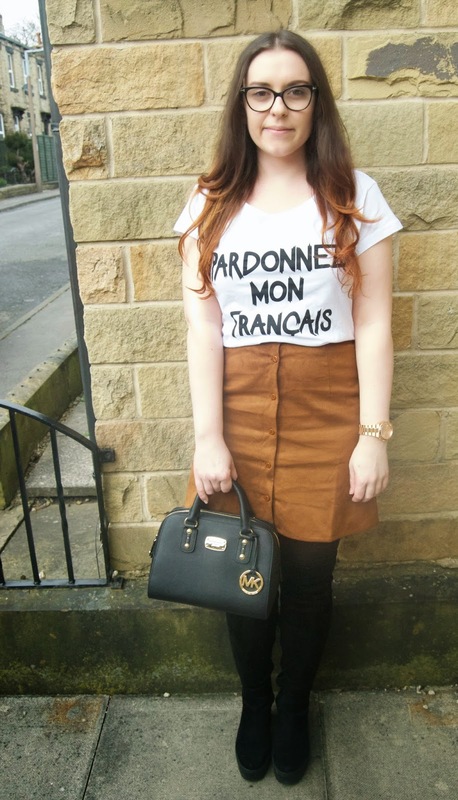 T-shirt and Skirt ASOS, Boots River Island. This is a more casual day look, I’d wear this for a Saturday shopping trip. Look 5 – The Culotte Jumpsuit. Shirt Cullottes and Shoes Primark. 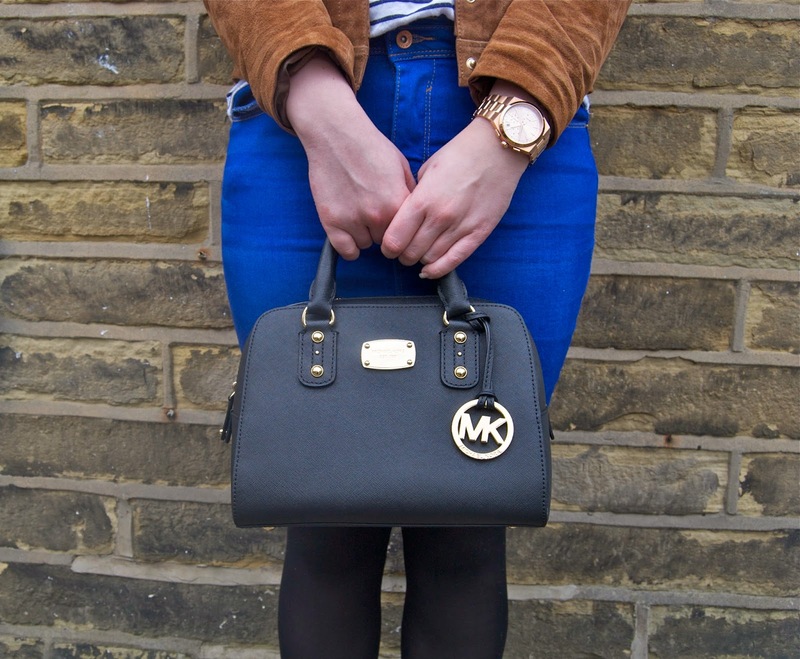 This is a more dressed up look, the bag and watch lend themselves perfectly don’t you think?